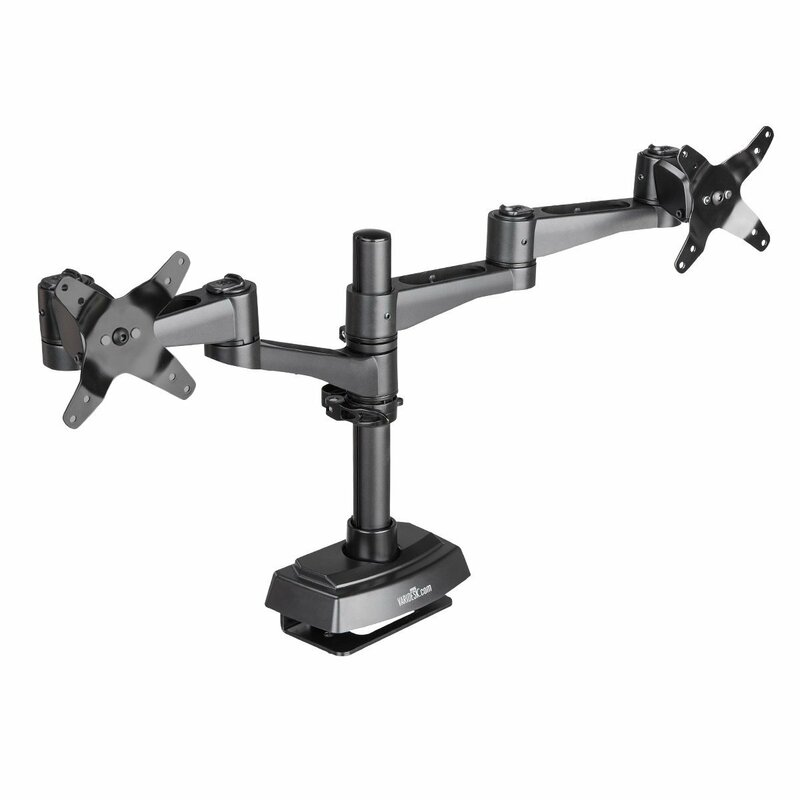 The Dual Monitor Arm 180� has a 180� range of movement, so you can position a pair of monitors flush against a wall or cubicle. With the Dual Monitor Arm 180�, you can lift your monitors up to gain more desk space and position them where they�re most comfortable. Size:Universal Compact space doesn�t have to mean compromise.